From the UN Department of Peacekeeping Operations to the NATO International Staff and the European External Action Service, international bureaucrats make decisions that affect life and death. In carrying out their functions, these officials not only facilitate the work of the member states, but also pursue their own distinct agendas. This book analyzes how states seek to control secretariats when it comes to military operations by international organizations. It introduces an innovative theoretical framework that identifies different types of control mechanisms. 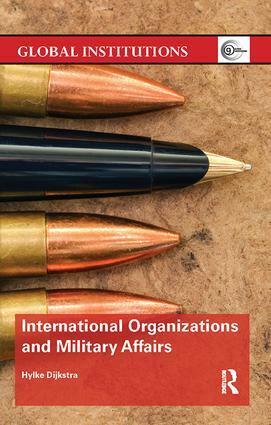 The book presents six empirical chapters on the UN, NATO, and EU secretariats. It provides new data from a unique dataset and in-depth interviews. It shows that member states employ a wide range of control mechanisms to reduce the potential loss of influence. They frequently forfeit the gains of delegation to avoid becoming dependent on the work of secretariats. Yet while states invest heavily in control, this book also argues that they cannot benefit from the services of secretariats and keep full control over outcomes in international organizations. In their delegation and control decisions, states face trade-offs and have to weigh different cost categories: the costs of policy, administrative capacity, and agency loss. This book will be of interest to scholars, postgraduates, and officials in international organizations and national governments, dealing with questions of international political economy, security studies, and military affairs. Hylke Dijkstra is an Assistant Professor with tenure at the Department of Political Science of Maastricht University, The Netherlands. He was previously a Marie Curie fellow at the Department of Politics and International Relations of the University of Oxford, UK, where he was also affiliated to Nuffield College. He has widely published on the EU, NATO, and UN.